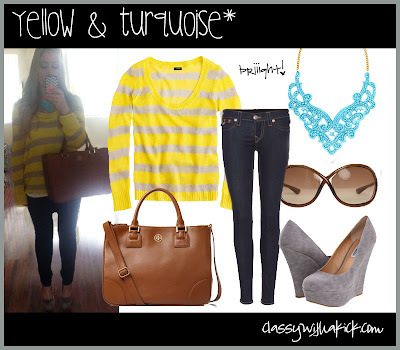 Ok, hands up...how many of you wore yellow yesterday?? Great minds dress alike, right? 1. Bloglovin - So I am not 100% sure GFC is really going away but I do appreciate how BlogLovin took advantage of this and created an app to export all your GFC blogs. I mean one click and now everyone I was following on GFC is now in my BlogLovin feed. Way to go BL tech team...you made it so easy and I can guarantee it will be worth the extra work. Oh and if you haven't already...you can follow me here! 2. The Flow and Go Tank from Lulu - I got this tank way over a year ago and it was one of those random purchases that ended up being one of my favorite items. It's not really a workout tank because the support is very light but it's so cute for lounging and casual days. Anyway, I thought it was a one time thing but it's back! It's like a dream come true! I am off to Lulu this weekend to get...or three! 3. Business Cards - I always forget the power of bcards. Whenever I wear a CWAK necklace out, I always get asked where I got it. I feel weird saying that I make them so when I have a card with me, I just give it out. Then I don't feel funny...but I am still promoting them. The best part is...I have seen a lot of sales come in lately using the promo code on the card. So I think it's working!! 4. 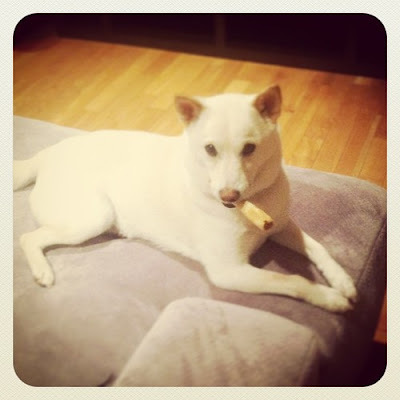 Funny Dogs - Don't mess with my baby Kirin and his stick. Seriously...don't try it. It's scary. Happy weekend everyone! Hope you are doing something fun! Thank you for the little shoutout! 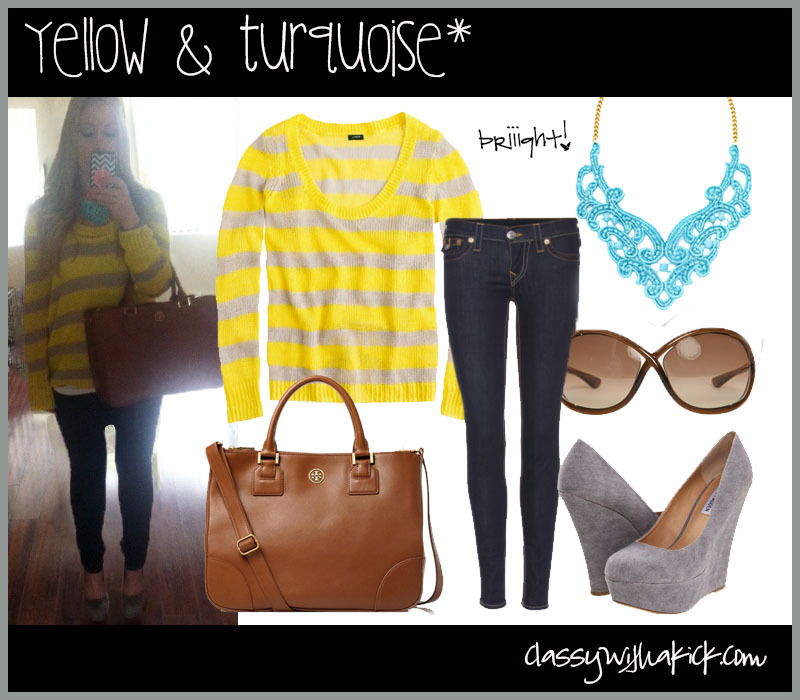 How funny that we both wore yellow with our turquoise necklaces. :) You shouldn't feel weird to tell people you made the jewelry...be proud of it!! I love that yellow stripes shirt you have on! So pretty. I totally love the Tory Burch tote! Cute outfit! I love your TB tote :) GFC is not going away, just google reader, but it shouldnt affect blogger's reading list. But its a good idea to have your fav blogs backed up with bloglovin or another reader. HTH Happy St. Patrick's Day!